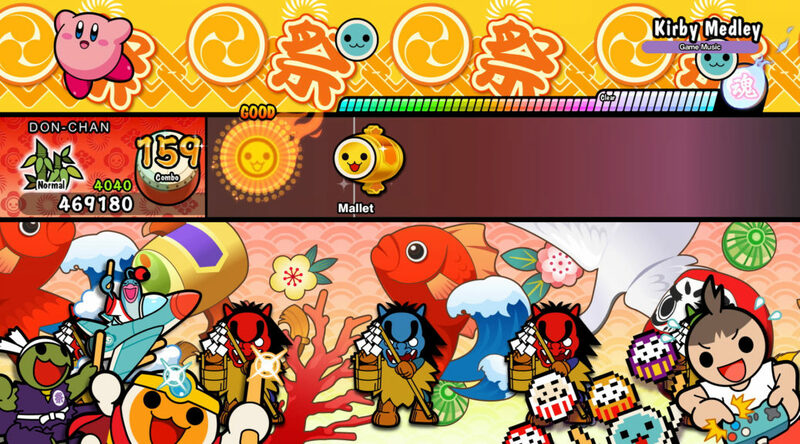 Bandai Namco Entertainment has revealed a few more important details for Taiko no Tatsujin: Drum ‘n’ Fun. The western release launching on November 2 will feature Japanese voice over and subtitles in English, French, Italian, German, and Spanish. In comparison, the Japanese release, out on July 19, features subtitles in Japanese, Chinese, Korean, and English (from August 9). Also confirmed are 70 songs for Taiko no Tatsujin: Drum ‘n’ Fun, the same number of songs as the Japanese release. It’s currently unclear whether there will be any differences in the song list. Taiko no Tatsujin: Drum ‘n’ Fun launches November 2 on Nintendo Switch. If you couldn’t wait till November, the Japanese release is currently available for purchase.